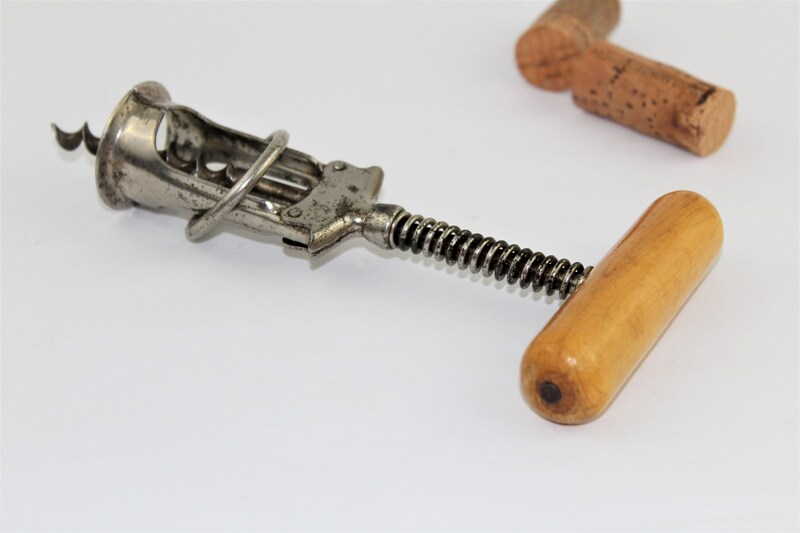 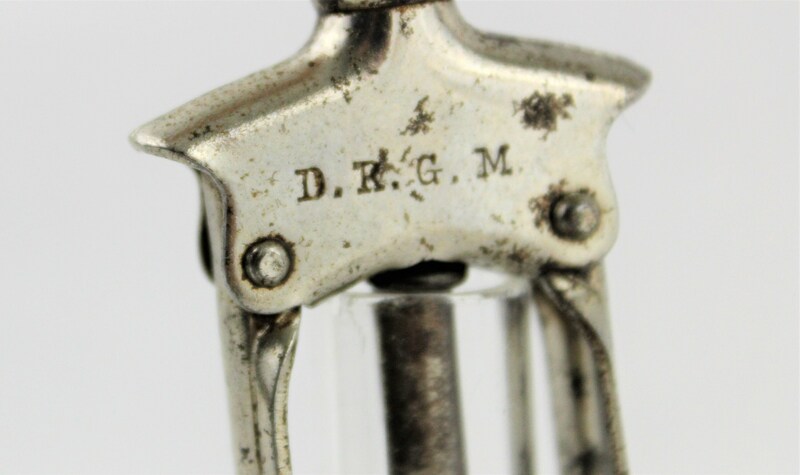 We have for sale a Vintage 1920s German Split Frame Corkscrew, D.R.G.M. 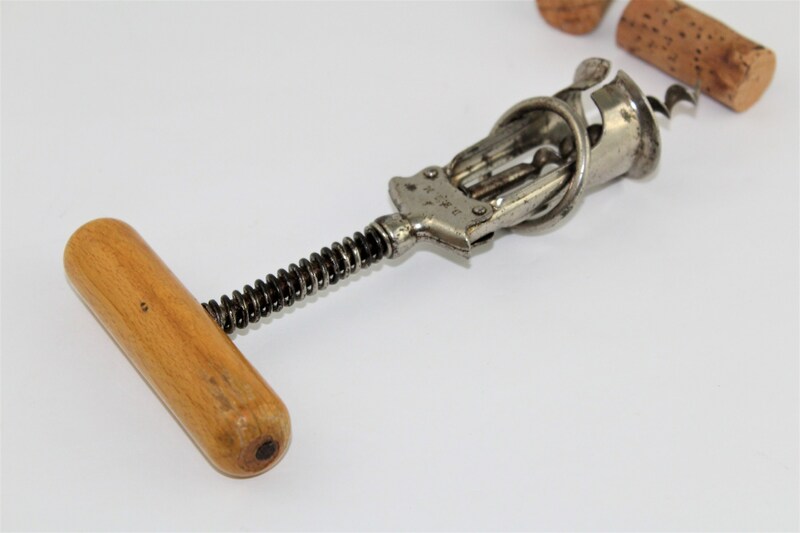 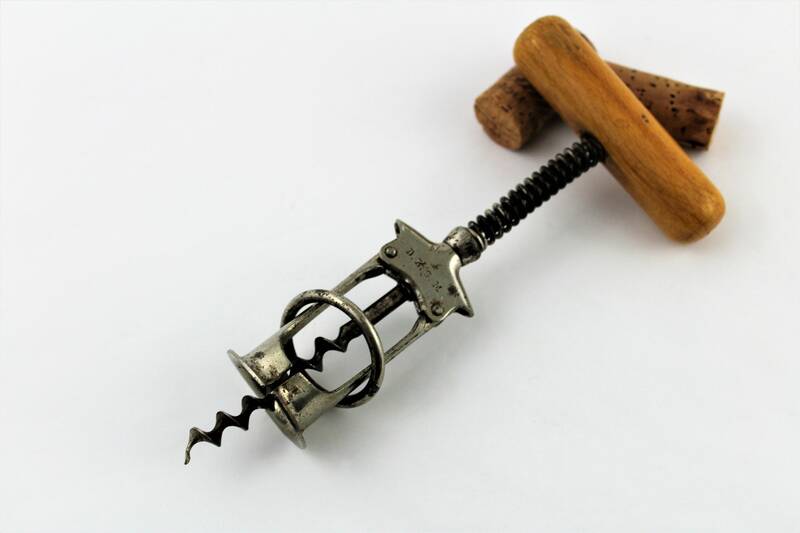 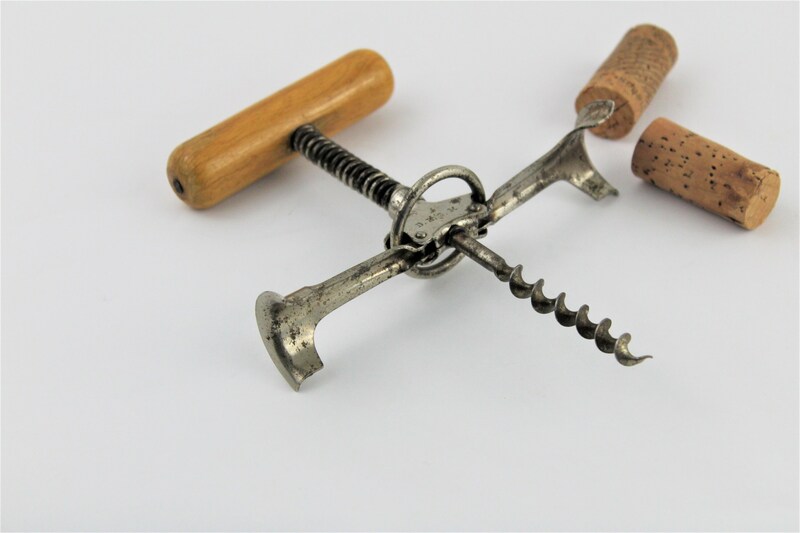 This is a 1920s variation of a German Columbus split frame corkscrew by Eduard Becker patented in 1893. 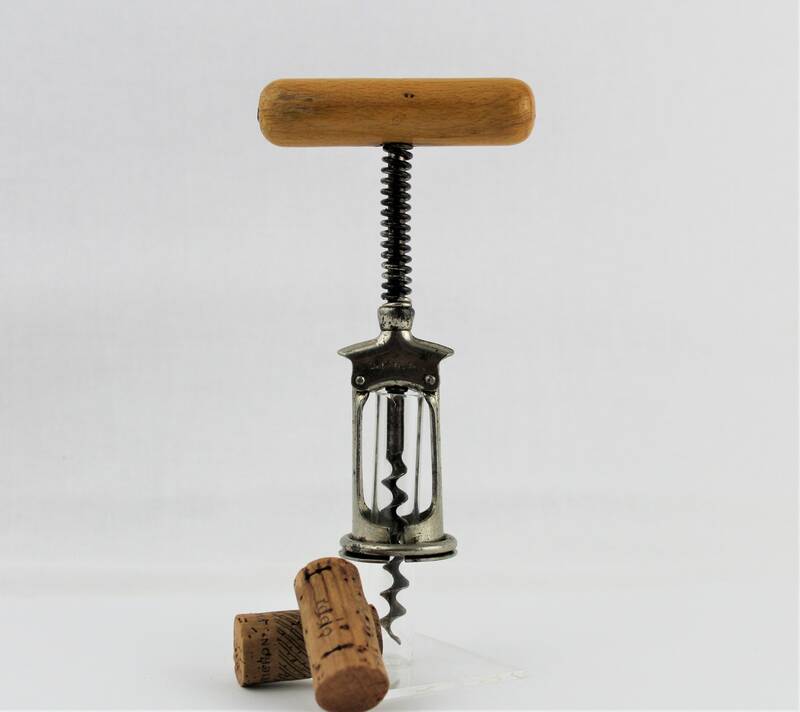 The corkscrew is in great working condition to use simply twist the bladed worm (screw) into the cork the and as doing the spring below the handle will slowly help pull the cork from the bottle once the cork is pulled lift the ring and spread the barrel to gain access to the cork to remove from corkscrew. 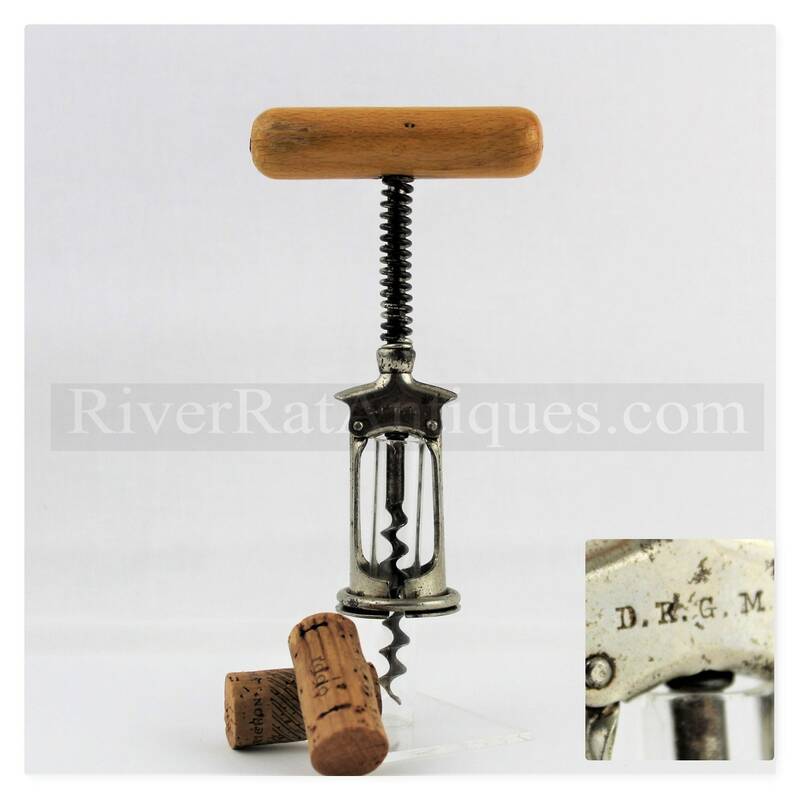 Condition; good with light discoloration in spot on steel, wood handle has a couple small wear marks.